Superior craftsmanship, integrity of materials, and simple elegant design that serves to complement your stone — these are the timeless, often understated qualities of heirlooms. We believe you’ll see and feel this the moment you hold one of our pieces in hand. Each piece of jewelry is designed to be enjoyed for years, handcrafted entirely using only traditional forging, forming, and fabrication techniques. This approach while difficult and time consuming, requires the skilled hand and experience of a classically trained goldsmith. NÉWA goldsmiths spend hours – from the fit of delicate filigree to the finish on the back of some earrings, on the smallest details. Jewelry at the studio begins as an ingot (a block of gold), that is forged and cold rolled into sheet from which goldsmiths sculpt, form, and weld into a work of art. This process is called hand fabrication. Jewelry made in this way significantly increases the hardness and tensile strength over cast jewelry that make up most of the market. The benefits are real. Harder metals offer better resistance to everyday dings and scratches. 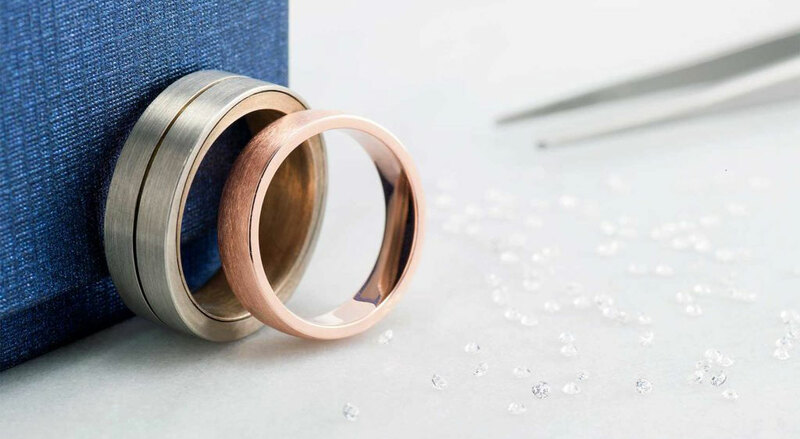 Their greater tensile strength allows rings to hold their shape since forged metal is more difficult to displace; an essential quality for securing gemstones in their settings. As a studio founded on commissioned projects, we’ve been handcrafting jewelry since 1981. In those years, we have dealt first hand with the interplay between design and engineering needed to bring jewelry into reality. With years of experience, NÉWA offers expertise you can trust. So rest easy. Leave the planning to us. With a user centered approach to the design process, we’ll consider all the details when drafting proposals so that the design is best tailored for you. The great part about custom made jewelry – you’ve got options. Unlike an off the shelf product, each order is unique with no two pieces exactly the same. Gold colors, wide rings, skinny rings, stones and no stones. It’s exciting to have choice. Here are just a few of many possibilities. Pure gold and platinum are much too soft and impractical for everyday wear so they are alloyed with other metals such as silver, copper, and palladium to name a few, to impart certain characteristics to improve its ductility, durability and strength. The higher the precious metal content, the greater the density, the greater the effect on the price. This is closely related to materials. The chunkier the jewelry, the greater the weight and of course, the price. On a tight budget, some choose to save a bit here, but there is a tradeoff. 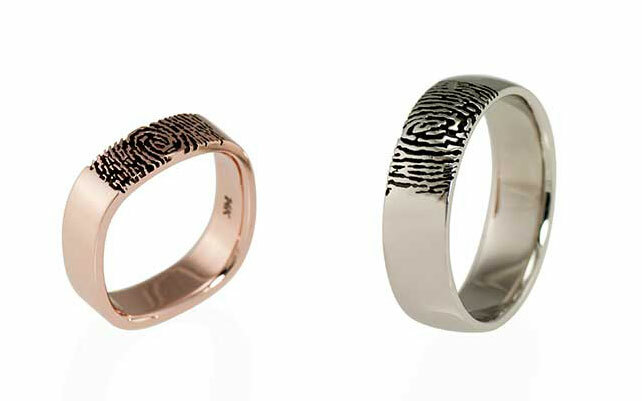 If jewelry is made too narrow or thin, its structural integrity can be compromised. It is something we see in mass produced jewelry that come in for repairs, especially items with micro pavé. It’s tough to match the brilliance and scintillation of a diamond, but why not consider other precious and semi-precious gemstones like sapphires, rubies or tourmalines? A variety of colors are available and sometimes it’s nice to have pops of color to liven things up, plus it can lighten the strain on the pocketbook. All NÉWA jewelry is handcrafted in-house by our master goldsmiths which makes us well suited to the variability that’s part of custom design. Work is not subcontracted to other workshops or manufacturers in Asia. We know the jewelry inside out, so any time you need assistance you’ll know where to go. When it comes to being environmentally friendly, the majority of our jewelry is made from recycled sources. With gold, platinum and silver’s status as precious metals, it is in everyone’s interest not to needlessly waste this rare resource! Despite our complex and numerous requests, our rings turned out fantastic and we often get comments from friends and family about how unique and finely made they are.